HomeBlog3D PrintingChapter 6 : Sometimes Size Does Matter! As you gain experience in hunting down printable .stl files for your gaming needs, you will encounter the fact that there are a good many different scales used by the creators of 3D designs. Personally, I game exclusively in 28mm, which is 1/56th scale. The other common scales in tactical land based wargaming range from 6mm – 1/285th scale, to 1/200th, 1/144th, 1/100th, 1/72 – 1/76th scale, and up to 1/48th and even 1/35th scale models and figures. When you come across those files made for a different scale, it is relatively easy to convert them; you just need to follow a few steps. Oh, and yes, as I am the perennial glass half-empty type of guy, there are some things that you need to keep in mind when scaling up and down. 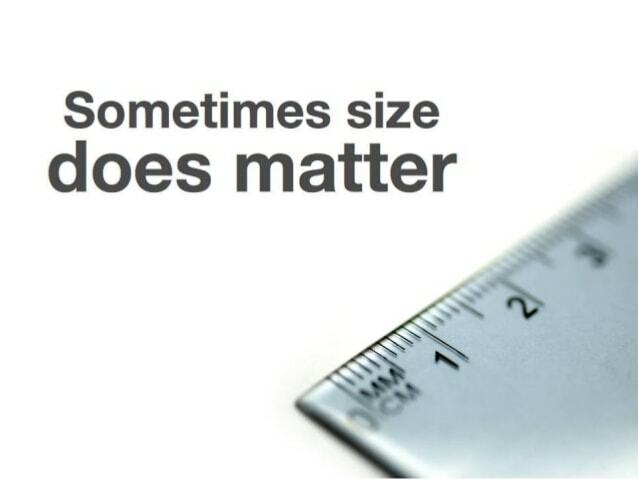 What is so important about scale? Well, it can be, and the results may look odd on your game table. Here are some examples of side my side comparisons I found online. Some gamers prefer the look of the larger scale of 1/48th scale models, especially because we have had some “scale creep” with 28mm figures in recent years. Some manufacturers have made their figures “beefier” and have pushed up the size of their individual figures. The down side of running 1/48th AFV models is that they may not look right next to your opponent’s models. Also, tactically it can disadvantage you by making your tanks more exposed on the table to your opponent’s line of sight. Can’t I just simply convert the .stl’s to the scale that I want? That gives you some of the direct percentage variations between the common gaming model scales. Example A: – you have an .stl that is noted to be 1/72nd scale, and you want to print it as 1/56th scale. Example B: you have an .stl that is noted to be 1/48th and you want to print it in 1/72nd scale. You now know that you will want to adjust the scale of the .stl by 66.7% in your Slicer program to print that model in 1/72nd scale. What is this about the Slicer program? In this example of the hull of my British Field Artillery Tractor, or “F.A.T.”, file in 1/56th scale on Cura’s build plate. I clicked on the model and opened the “scale” option on the left-hand task bar. You can see the model is at “100%” and it give the L x W x H in mm. If I now wished to convert this to 1/72nd scale I would divide 56 by 72, which equals 0.778. I enter 77.8 into the “scale” spot, and as it is set for “uniform scaling” it converts all L x W x H by that factor. I can now print an accurately sized F.A.T. in 1/72nd scale. And with that you are done. Just be sure to do it for every single part for that model. More than once I have adjusted scales for all but one file of a multi-part model and ended up with ridiculously oversized wheels or undersized tracks. So when are you going to rain on our parade? The original file may not be “to scale”. Don’t assume the original designer double checked to ensure his model was an exact representation of the historical size of that vehicle, gun, or whatever. It is always good to double check. It only takes a minute or two and can save lot of grief; better to check it now than it is to run a 12-hour print, then assemble, prime, paint and finish your model only to find out that the vehicle is out of scale. How to do this? First put the model into the Slicer program just as we just talked about. You see it gives you the length, width and height of the model on the build plate . The best part to check is usually the length of hull of the model. This can vary depending on the shape of the vehicle; e.g. sometimes tanks have tracks that extend beyond the hull both at the front and back; but normally the hull is your best point. On the F.A.T. hull we used, the length in 1/56th scale was 76.4mm. If the answer was, say, off more than 2% I would enter 1/56th of the actual vehicle’s length into the “scale” of Cura, and press enter; Cura would then do a uniform adjustment of the model on the build plate. It also would tell you the % change you need to make in the slicer for the remaining parts of that model. The original model, especially if it was a much smaller scale – e.g. a 1/200th model- may not scale up well to 1/56th; some detail may look disproportionate when increased by the factor of 357%, which is the percentage required to go from 1/200 to 1/56th scale. This isn’t meant as a slight towards those creators; M. Bergman has given us literally hundreds of outstanding .stls, but it’s that some smaller scale stuff just won’t translate that well when upsized so much. The reason is there are minimal dimensions required– e.g. thickness of layers of an open topped vehicle or a gun shield – looked great at the original smaller scale, but when you increase that by 360%, they may end up looking cartoonish. Below is a pic of the CAD with Bergman’s original 1/200th scale German SPG, the Wespe, beside the same file upscaled to 1/56th. The original file would look fine on the table but upsized would appear very blocky. This problem is not as pronounced on 1/100 to 1/56 conversion but do be aware of it. So now you know how to alter the scale of your models, as well as how to confirm the accuracy of your model’s size compared to its real-life version, and lastly the potential downside of upsizing. I hope this was of assistance to you. I feel that I am an 12 year old boy trapped in the body of a much older man, and I am an enthusiast for tabletop miniature gaming as well as 3D design of AFVs and wargaming terrain pieces. I assure my spouse that it is all still cheaper than buying a Harley and wearing leather chaps. the range includes unique WW2 AFVs, transports, gun and tabletop wargaming terrain. Great comments on scaling up and down of models from the smallest to the one you want. I usually find the vehicle online in real size dimensions then scale down to 56 or 72 to get values for the slicer. I try and go with width of the unit as there isn’t much that gets added so will be fairly consistent.